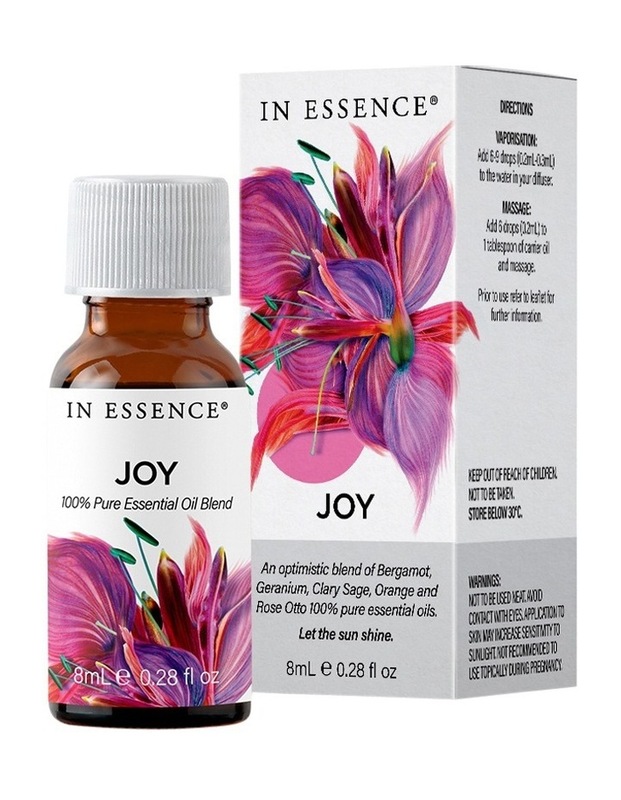 A blend of bergamot, geranium, clary sage, orange and rose otto pure essential oils uplift and elevate the mood. Blended to uplift and elevate the mood. Citrus and florals burst forth from this optimistic blend of bergamot, geranium, clary sage, orange and rose otto pure essential oils. Delight in the small things and allow yourself to be happy. Let the sun shine. Not tested on animals. Vaporisation: add 6-9 drops (0.2ml-0.3ml) to the water in your diffuser. Massage: add 6 drops to (0.2ml) 1 table spoon of carrier oil.